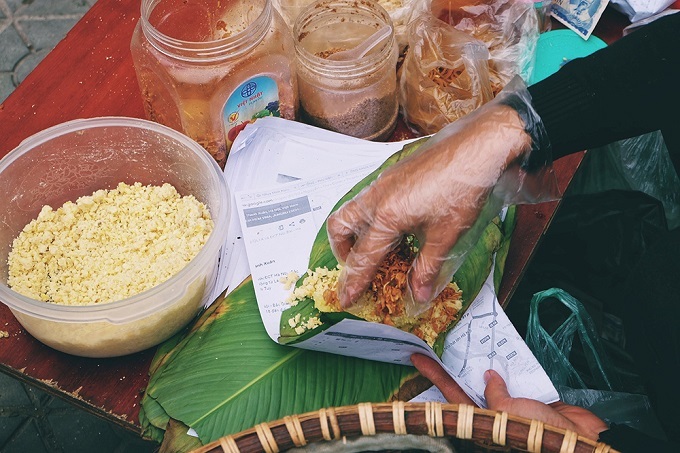 These streetside eateries have survived the tests of time thanks just to word of mouth. 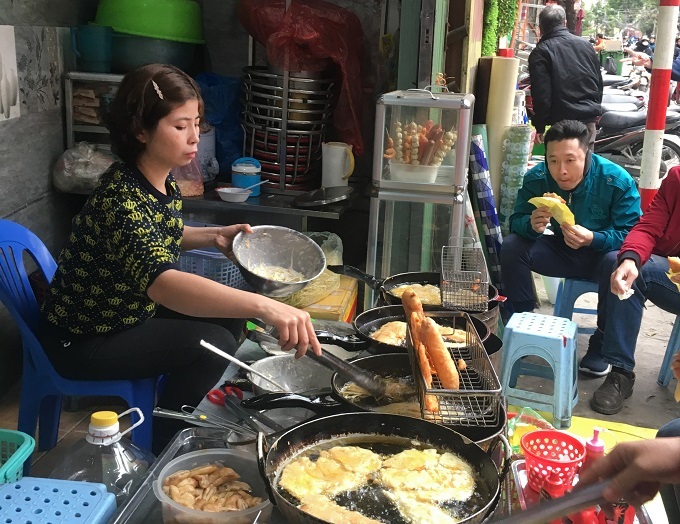 In Hanoi, a mobile kitchen, some plastic tables, stools and a few waiters sprinting around are sometimes all it needs to make a street food stall soar. 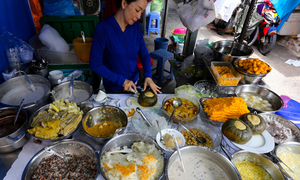 No name, no sign and no advertising, hundreds of street food stalls in Hanoi are still getting by based solely on word of mouth – a practice that could date back a hundred years ago when peddling was the main way of selling street food. But being anonymous doesn’t mean there's no guarantee of a delicious meal. Some of the unnamed shops boast exceptional quality, if not the best of their kind. 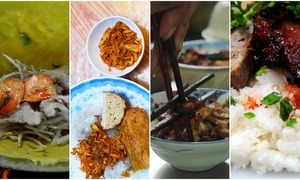 If you are wandering around Hanoi and hungry for a true local experience, here are 10 famous ‘no-names’ to turn to. 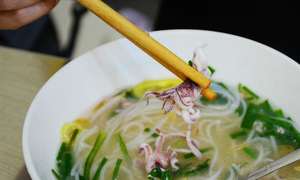 Netizens call this pho bo stall ‘Tư Lùn’ (short Tư), but the middle-aged owner insists on leaving his shop nameless. The rusty signage has been scraped off and is now a blank canvas, but from 6 to 10 in the morning, regulars cram in to get their morning fix of pho. If a shop sign is optional, then so are tables at this sidewalk stall on Hang Trong Street. 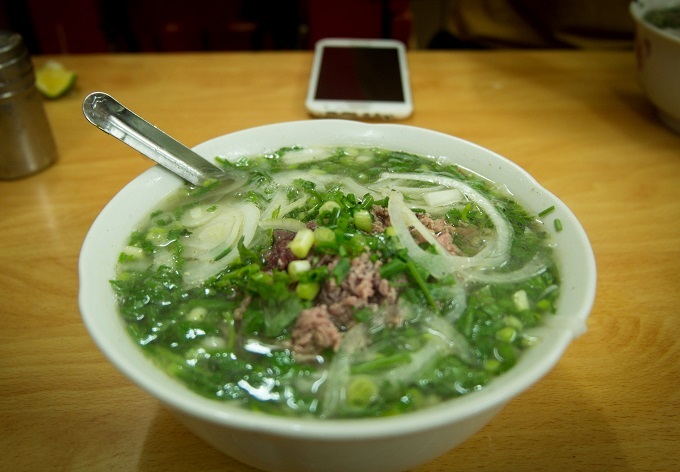 Pho Hang Trong is one of the last stalls that still cling to the decades-old practice that requires eaters to hold their own bowls and sometimes to eat standing up. Feeling uncomfortable? In the past, you even had to bring your own bowl! 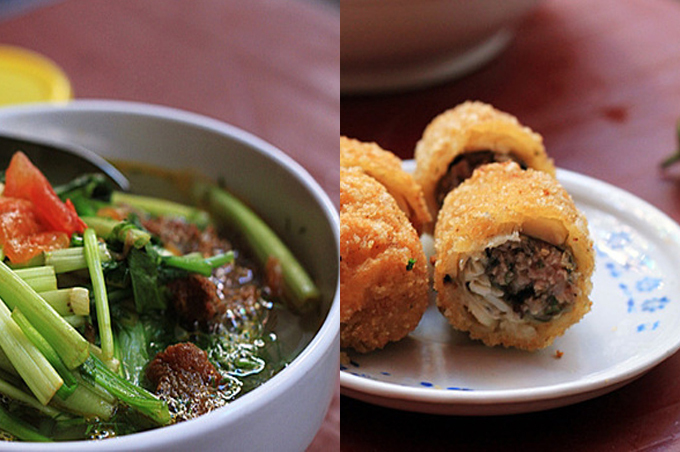 The banh cuon shop on Nguyen Che Nghia Street has a sign, but it belongs to another noodle shop. Yes, the two shops share the same location but open as different, a common practice around Hanoi due to the lack of space. 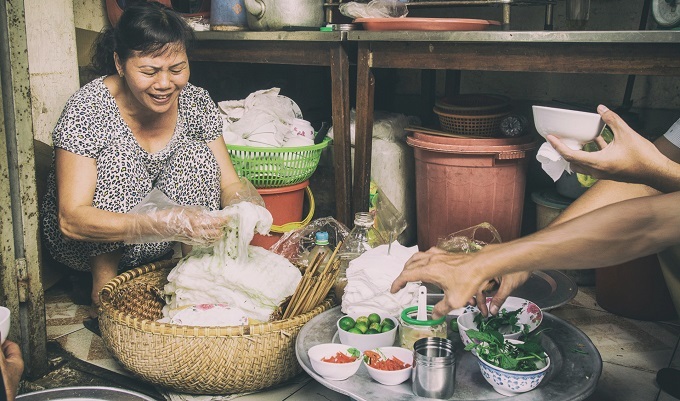 Mrs.Tuyet only arrives on her motorbike with a basket of banh cuon, a few bowls and chopsticks at around 3 p.m, but she sells out within the hour. If you're considering tucking into a stack of fresh snails on the sidewalk, there’s no need to go looking for a sign. 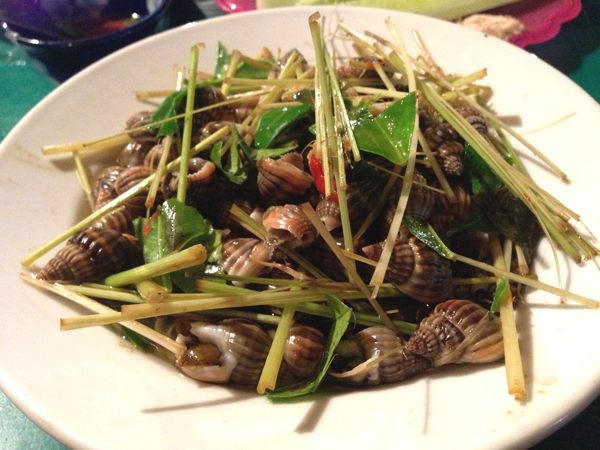 This small stall serves the best snails braised in garlic, chili and lemongrass, which go perfectly with a beer or two in this chilly weather. It can take a while to figure out how to zigzag your way down the tiny alley in the busy Old Quarter, but the reward is worth it. 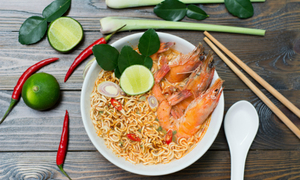 There’s not only the fish noodles to tempt diners, this stall also serves some of the best fish spring rolls to go with them. 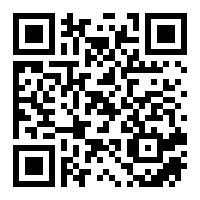 Need more directions? Look for the biggest ficus tree in the alley. 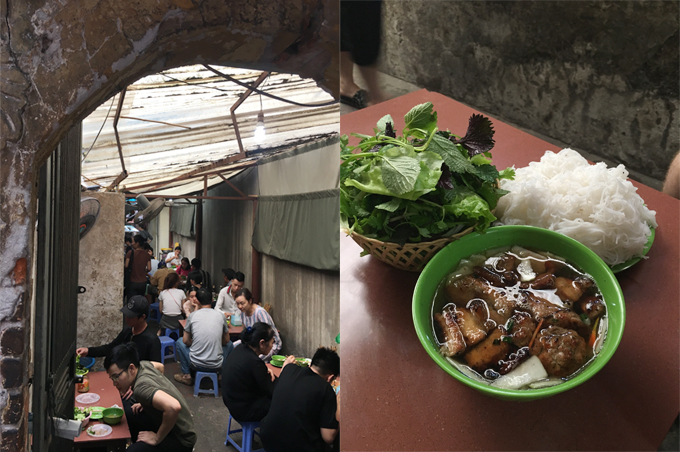 The small but busy complex of Hang Chai Street sells everything: fake flowers, fried ragworms, clothes and most importantly, one of the best snail noodles in the capital. 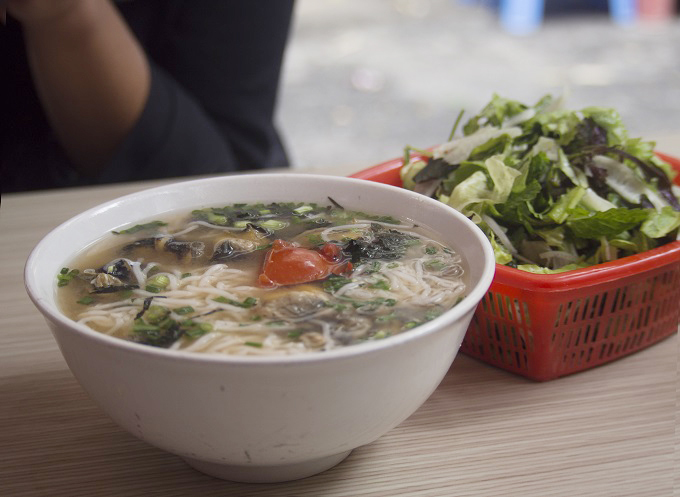 A bowl of snail noodles goes best with fresh salad, boiled beef and gio – a special Vietnamese pork sausage. 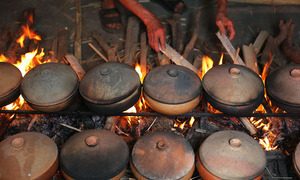 La Thanh is not the ideal street for sidewalk cuisine due to the lack of space, but some Hanoians still manage to make a living literally on the street. 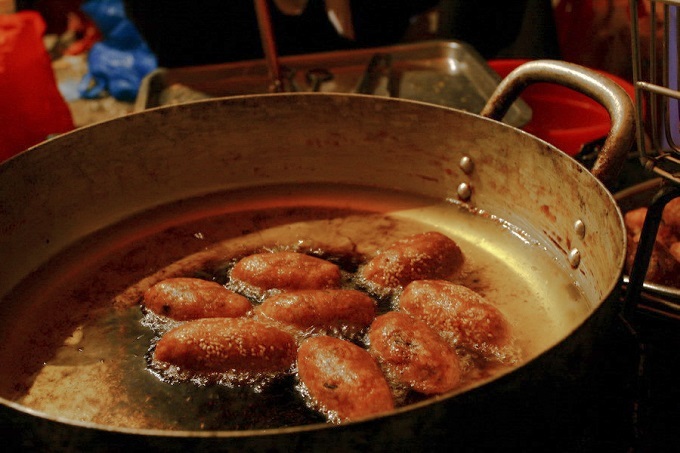 It’d be easy to miss this stall as it blends in with the busy steel shops, but its banana, corn and potato fritters are definitely worth a stop. This bun cha stall does not only take up a whole alley, it's busy all the time. The bun cha here is remarkable for its balanced dipping sauce and soft grilled pork without the charred bits. 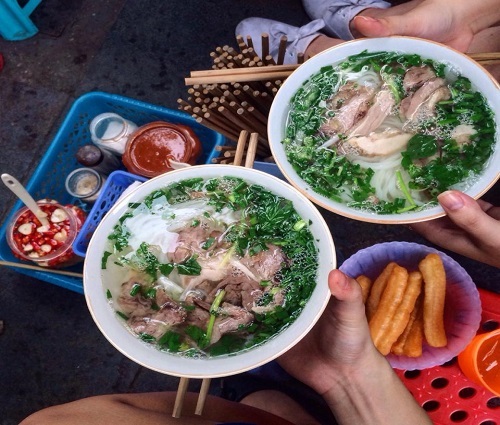 If you ever feel hungry in the afternoon, join high school students for this Hanoi snack right in front of a temple in the West Lake area. Deep fried cake balls stuffed with chopped pork might seem too greasy, but the spicy papaya salad that comes with them is a game changer. 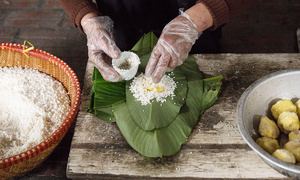 For a bag of fine sticky rice coated with mung bean paste and fried shallots neatly packed in fresh banana leaves, you’ll have to queue from 6-7 a.m. Hang Bai Street offers quite a spacious alley, hence the longer queue for anyone addicted to this savory breakfast.